As a piano teacher based in Lichfield, one of the first things I ask a pupil when they start lessons is what would they like to play. 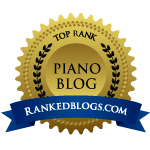 Most look slightly embarrassed and the horribly predictable ‘Moonlight Sonata’, ‘Für Elise’ and ‘The Entertainer’ are volunteered as possible ideas. For most people learning an instrument, I reckon about 80-90% of the repertoire they learn is suggested by the teacher. There is of course nothing wrong with this at all; the teacher is well-placed to make judgements about what pieces might be suitable and which might be useful, for example in helping to develop a particular technique. However, as pupils progress, I want to see them become more self-sufficient, being able to make their own choices and decisions where possible. So let’s say you’ve exhausted your teacher’s entire repertoire, where can you look next? Here are some ideas for exploring new repertoire. Take note of recommendations Most of us will, at one time or another, have shopped online. Many of these online shopping sites are programmed to remember what you buy and to recommend other products based on this. Whilst some of these recommendations are to be taken with a pinch (or even a good few ounces) of salt (I really don’t wish to purchase a song called ‘Gather in the mushrooms’…I keep telling it!) some are surprisingly astute. Every time I order a CD or a piece of music, the site probably recommends at least 10 others – they’re worth exploring. YouTube This is, in some ways related to the second suggestion above, as YouTube also makes recommendations based on the videos you watch. Think about the pieces you’ve learnt that you’ve enjoyed; search for them on YouTube and see which videos come up along the right-hand side. The recommendations are often quite good and I’ve found many a new piece this way. Go to a shop Yes, you remember those things on the high street – big windows, door, till, cash etc. They do exist, albeit smaller in number. If you can, find a good sheet music store – if you’re like me, you have to travel miles to find one, so only an occasional trip is possible. To me, browsing in a shop is infinitely better than browsing online. By all means go to buy, but don’t forget to browse too! Don’t forget charity shops too who often have a small quantity of abandoned sheet music somewhere on a bottom shelf. Trust your instincts too; if you like the look of something, try it (many a time I have been guilty of buy pieces because I like the covers!) I promise you that the more pieces you try, the more you’ll find. My sheet music collection which used to occupy one pile now occupies a whole room…be warned. Don’t forget the obvious too – ask friends and family, and even your teacher for recommendations. Always remain open to new ideas, never feel pushed into having to like certain things, and whatever you do, always enjoy playing! David Barton is an internationally-published composer and arranger based in Lichfield, Staffordshire, where he also runs a successful practice teaching flute, piano and singing. Sheet Music Direct – online resource with over 40,000 titles. Pop songs, jazz, classical and more. Next postWhy take a music exam?